For such a reliable Eighties hit-maker, it’s surprising that only two Prince singles have made it into our Top 100. Let’s Go Crazy, 1999 and Raspberry Beret are all missing in favour of the two biggest singles from his Purple Rain album. 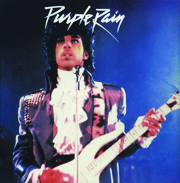 According to his keyboardist, Dr Fink, Prince tried to write Purple Rain in the style of MOR/AOR singer Bob Seer, who The Revolution had kept bumping into on tour. But the resulting track was pure purple Prince. 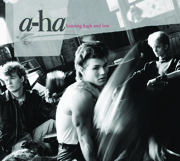 Coldplay’s beautiful cover version of this massive A-ha ballad is proof positive that a trio who were once seen as trashy teen fodder have become, with the benefit of hindsight and adult ears, some of the truly great craftsmen of modern song. In fact, this very issue of Classic Pop is bookended by their work: from Mags’ new project with Apparatjik in Pop-Up to our Classic Album feature on the band’s 1985 debut, which used this single as its title track. Despite appearing in the very 1983 rom-com Valley Girl, this was never a massive single. Which is probably just as well, because it’s gone on to become a sleeper hit, growing by word of mouth in the years that have followed – and, consequently, not sounding particular dated (at least until its noodling keyboard solo). Legally speaking, any resemblance to Electronic’s Getting Away With It (which is so close, it’s uncanny) is said to be purely coincidental. 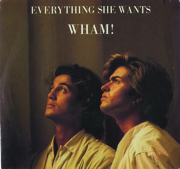 It’s very telling that, of Wham!’s straight run of 12 UK chart hits (five of which went to number one), only one of them makes it into our Top 100. Maybe George Michael designed them to be just too throwaway. Maybe, in this age of recession and supposed austerity, the gay abandon and shuttlecocks-down-shorts hedonism of parties at Club Tropicana just doesn’t ring true. 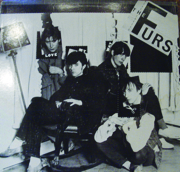 The subtlest of all their singles, this was actually a double A-side with Last Christmas. 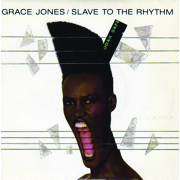 A song originally slated to be Frankie Goes To Hollywood’s follow-up to Relax, Slave To The Rhythm has since gone on to become Grace Jones’ anthem. Written and produced by Trevor Horn (and fellow Buggle Bruce Woolley), it originally broke into the public conscious via a Citroën TV ad and a video by Jean-Paul Goude, then reappeared to steal the show (hoop and all) at the Queen’s Diamond Jubilee concert in the summer of 2012.